If you have been working on an Arduino project which requires Bluetooth then this tutorial is perfect for you. One of the challenges of working with Bluetooth can be working through the intricacies of pairing your Arduino project with the computer of phone you are wanting to communicate with. 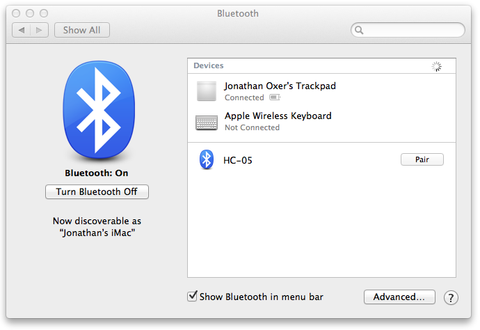 Fortunately the team at Freetronics have put together a great guide of how you can pair the Freetronics Bluetooth Shield or Module to Mac, Windows or Linux devices. To get started checkout the following link. 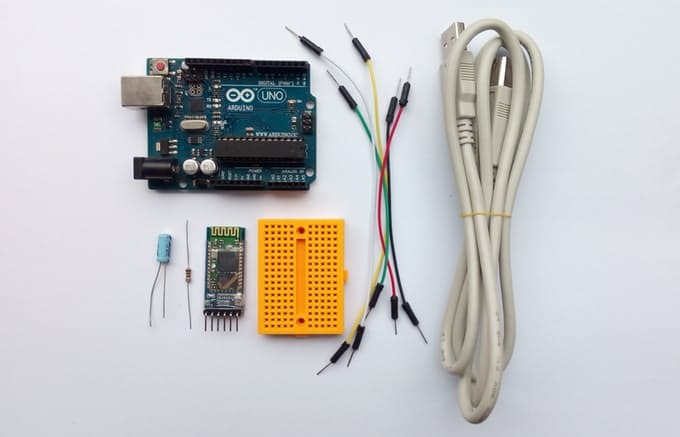 Have you ever stuck an Arduino in a hard to get place such as under the house and then realised that you want to upload a firmware revision? This can be a very frustrating situation, however, with the simple addition of a Bluetooth module it is possible to avoid this problem. Amazingly it is possible to program an Arduino over Bluetooth. For added flexibility there is even an Android app, “Bluino Loader” which allows you to upload a sketch to an Arduino from your smartphone. For step by step details of how this is possible, checkout the following link. If you are looking for an easy way to add Bluetooth connectivity to your Arduino why not check out the Freetronics Bluetooth Shield?